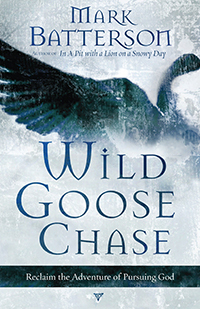 "Celtic Christians had a name for the Holy Spirit - An Geadh - Glas, or 'the Wild Goose.' The name hints at mystery. Much like a wild goose, the Spirit of God cannon be tracked or tamed. An element of danger, an air of unpredictability surround Him. And while the name may sound a little sacrilegious, I cannot think of a better description of what it's like to follow the Spirit through life . . ."
From Ken Blauw of Elmhurst Il., Illinois on 9/15/2013 . Am enjoying it very much. Many challenges. Many things to think about and many things to pray about.